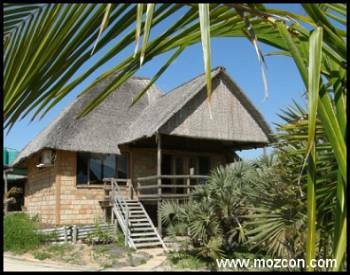 Bay View Lodge Mozambique is a superior self-catering lodge. 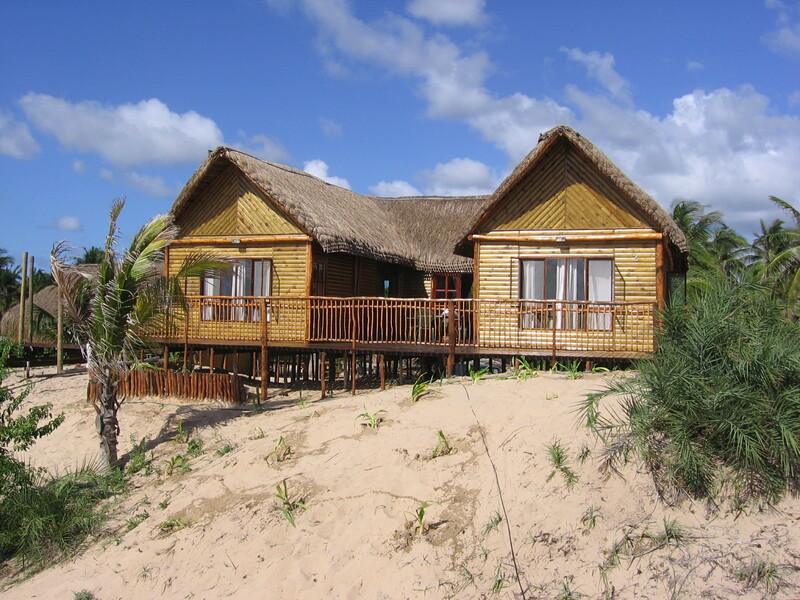 The lodge is located at Barra (Praia da Barra) on the north-eastern tip of the beautiful Barra peninsula, with an estuary behind and a long sandy beach in front of the lodge. It is a place to leave your stress behind, explore the underwater wonderland on your doorstep and enjoy the night sky, far away from bright city lights. All roads leading to the lodge are tarred, except for the last 10 km, which is dirt road. 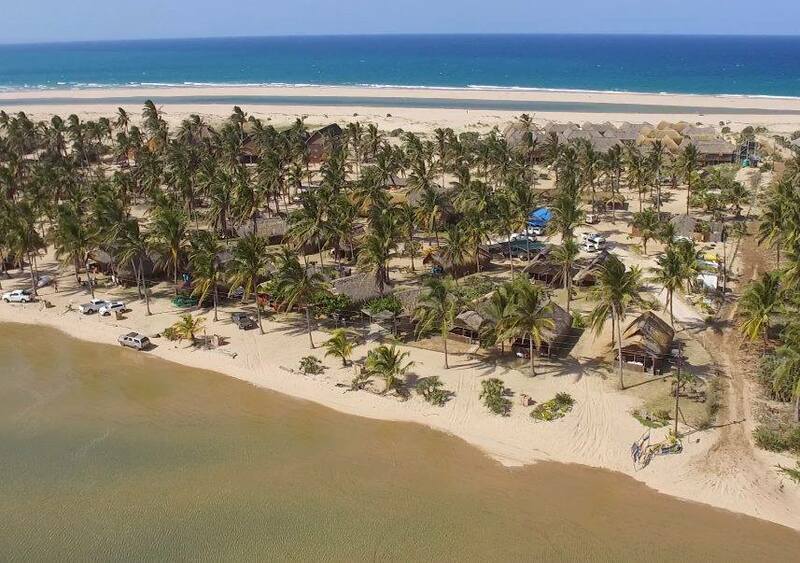 It has been hard packed with coral sand, making it easy to reach us with a normal passenger vehicle without any difficulty. NO 4x4 is needed to get to the lodge, but is good to have if you want to explore off the beaten track. 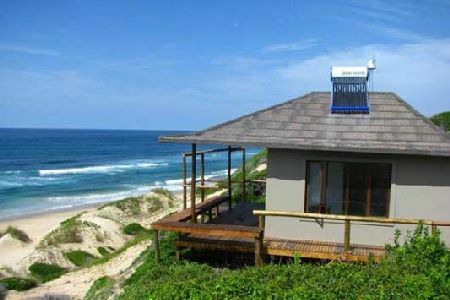 Bay View Lodge Holiday accommodation is on a self catering basis. 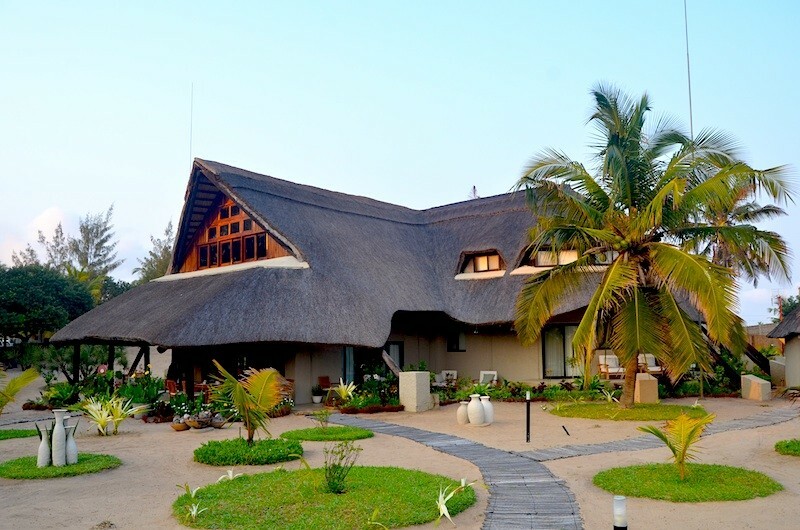 The bedrooms are all air-conditioned and each bedroom has an en-suite bathroom. All kitchens are fully equipped for self catering - gas stove and oven, microwave, fridge/freezer, electric kettle, toaster, cutlery, crockery, pots and pans. There are many restaurants in the area when "cook" decides that the kitchen is closed! 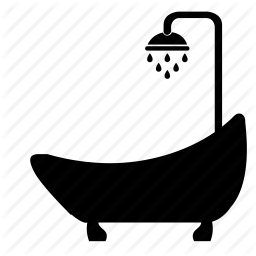 Linen and bath towels are provided and laundered weekly. 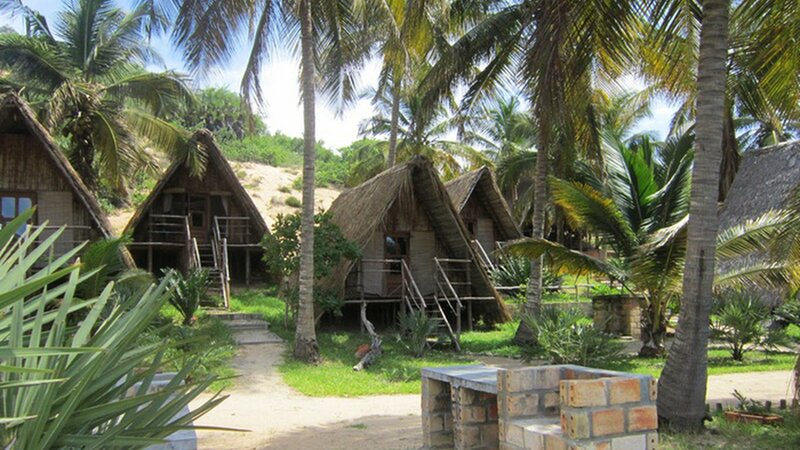 All beds have mosquito nets and All units are within 150m of the beach and most have at least a partial sea-view. Beach towels and baby cots are not provided. 4 x 1 Bedroom Units - sleeps 2 people in each. 2 x 2 Bedroom Units - sleeps sleeps 5 and 6 respectively. 1 x 2 Bedroom Units - sleeps 4 people. Group House - sleeps maximum 16 people. It is a Double storey house with beautiful sea view from balcony. It has 8 x Bedrooms with two single beds each and air-conditioned. Beds can be put together to form double beds. Four bathrooms with upstairs toilet and hand-wash basin Fully equipped open plan kitchen, dining and lounge area. Gas braai. • All units are within 100m of the beach and most have at least a partial sea view. 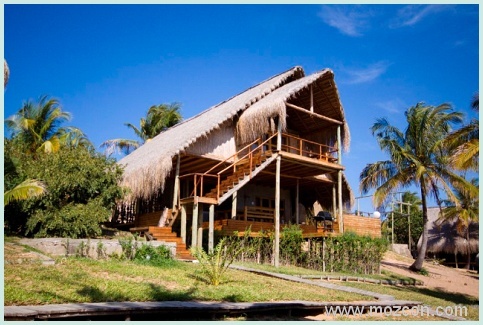 • Bedrooms are air conditioned and each bedroom has an en-suite bathroom - except Group House - Shared bathrooms. • All kitchens are fully equipped for self-catering - gas stove and oven, microwave, fridge/freezer, electric kettle, toaster, cutlery, crockery, pots and pans. • All floors are tiled. • Linen and bath towels are provided and changed weekly. 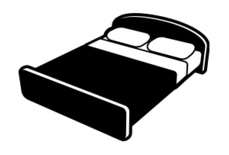 • All beds have mosquito nets. • Beach towels are not provided. 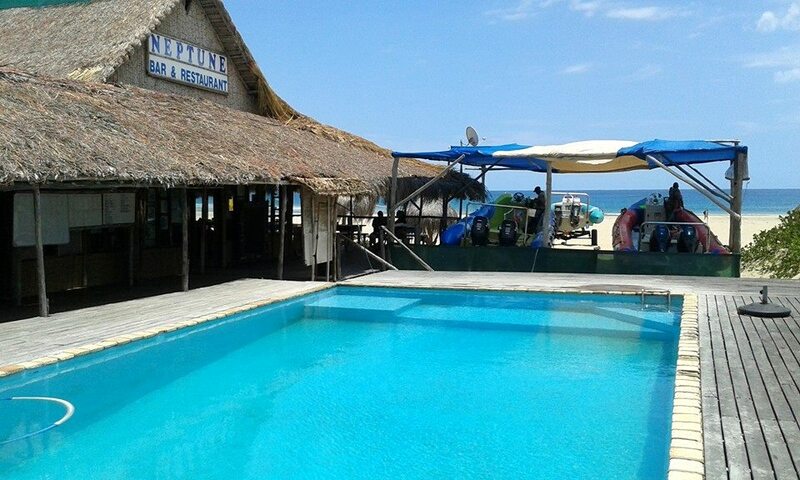 • Enjoy meals at the "Green Turtle" Restaurant. • Outdoor shower - Enclosed. • Units are serviced daily, except on Sundays and public holidays. • Each unit has a small safe and a lockable wooden chest for valuables. • All units have a hairdryer. • Each unit has braai facility. • Covered parking next to each unit. • Our water is filtered borehole water from a borehole. • Security guards on duty 24-hours per day. • Laundry facility - At a fee. • Free WiFi at reception only. 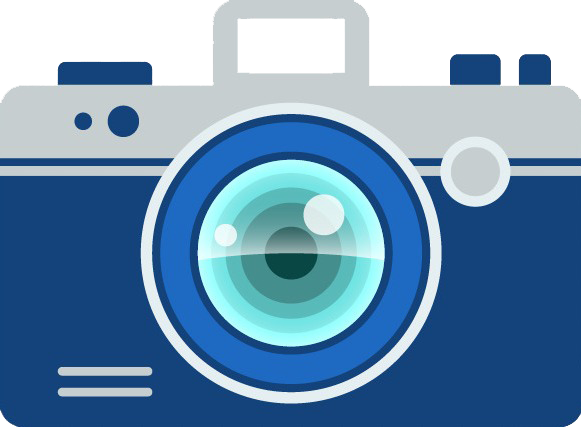 • Only Visa & Mastercard credit card facility. • Conference facility (30 people). NOTE:- Group house quoted per "PERSON" per night and Minimum 7 persons or equivalent rate.